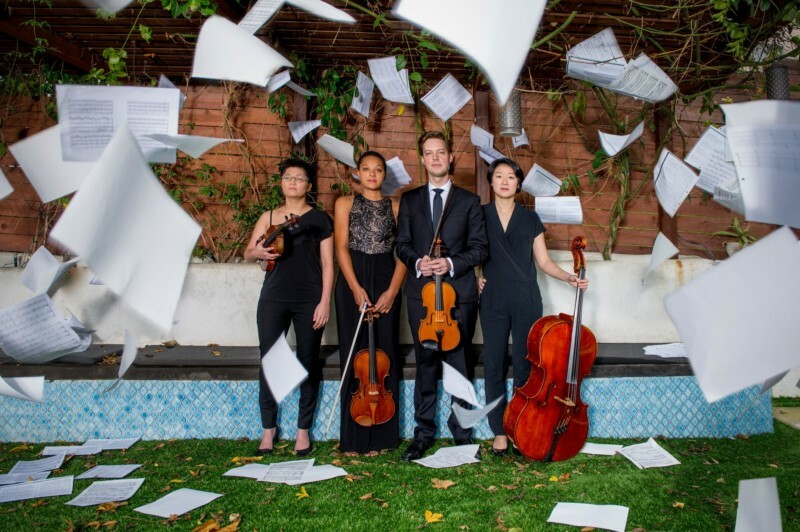 Take a respite from your busy work day with a free concert by the Argus Quartet presented by WQXR. Every first Wednesday of the month, hear rising stars from The Juilliard School perform selections from classical music’s best-loved composers. Leave the emails, phone calls and work behind and settle in for an hour of musical serenity. The Argus Quartet is quickly gaining a reputation as one of today’s most dynamic and versatile young ensembles. Praised for their “supreme melodic control and total authority,” (Calgary Herald), some of their recent and upcoming performances include appearances at Carnegie Hall’s Weill Recital Hall and Zankel Hall, Roulette, the Albany Symphony’s American Music Festival, Bang on a Can at the Noguchi Museum and the Hear Now Music Festival. Argus is dedicated to reinvigorating the audience-performer relationship through innovative concerts and diverse repertoire. The quartet also believes that today’s ensembles can honor the storied chamber music traditions of our past while forging a new path forward. In that spirit, their repertoire includes not just staples of the chamber music canon but also a large number of pieces by living composers.